Sue Scheff: Wall Street Journal shares my story! I was thrilled to be part of Columnist Elizabeth Bernstein’s articlein the Wall Street Journal – The Dark Side of ‘Webtribution’. 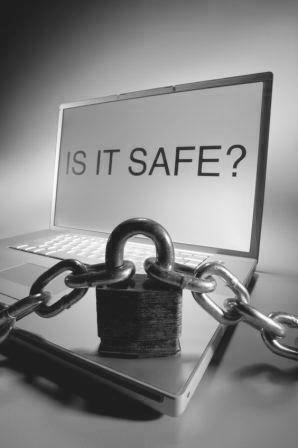 She also listed my tips to help protect yourself online as well as wrote a fantastic column about what keystrokes can do to lives! This film shares two stories with you. One with Graham Brown-Martin (pictured above) and his lovely wife, Ren as well as their toddler daughter and the other with a man, Chay, who in one weak moment had a one night stand that takes obsession to a new level. If there was ever a “Fatal Attraction” through the Internet, we have found it. However, unlike the Hollywood movie, Chay literally only had a one night stand, no strings attached. He never heard again from her until months later, and it would be the worse next years of his life. Don’t miss a minute of it! Visit Digital Safety for more information. When I first started being active on the internet, I was very naive to the Internet World. I’ve learned a lot in the past year and thought that I truly understood the power of the internet. Until I read, “Google™ Bomb”. Lets just say that I now feel as though I lived in a cave. I was totally unaware of the true power and damage that the internet can do. I don’t know where I was in 2006 to not have heard of the landmark internet case that won Sue Scheff $11.3 million for defamation of character. The only thing I can think of is that I wasn’t active online and didn’t really pay attention to what happened in the internet world. When I was asked to review this book, I was curious as to find out what could have happened to Sue to make her have won such a large lawsuit. 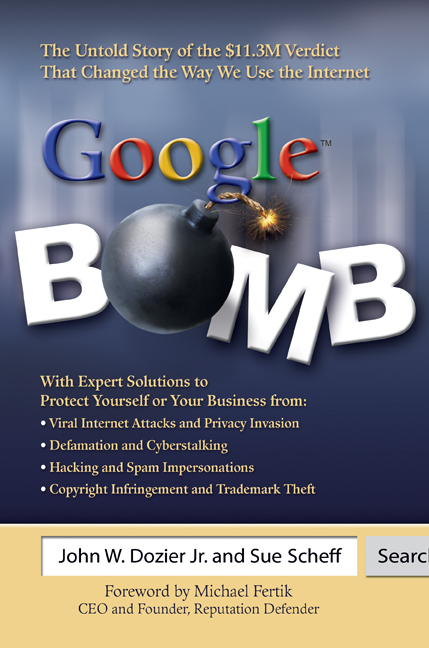 I had never heard of the term Google™ Bomb and thought it would be an informative read. I HAD NO IDEA JUST HOW MUCH I WOULD LEARN. I was happy to provide this review if only to spread the word of how vicious the internet could be and in hopes of getting the word out that there are simple things you can do to protect yourself.